What is your personal responsibility in addressing the challenges of diversity in our multicultural society? 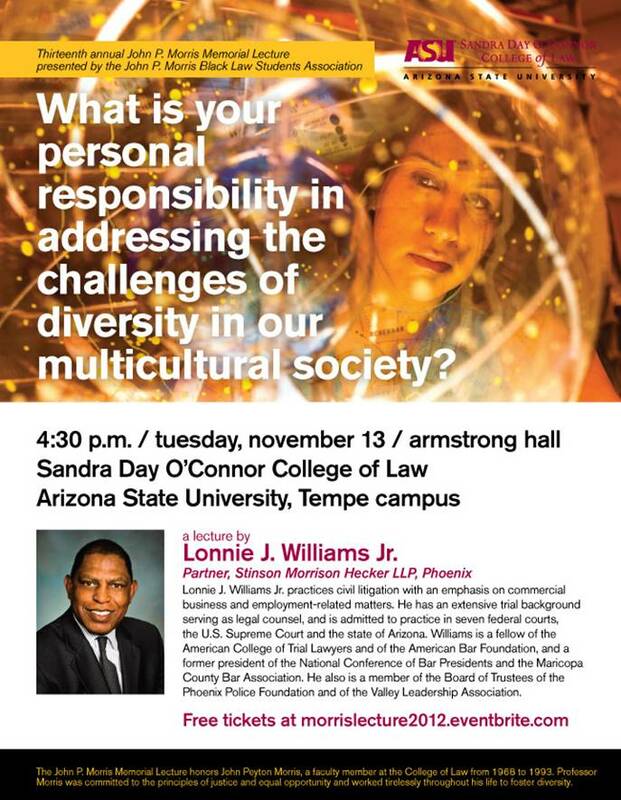 The Sandra Day O’Connor College of Law and the John P. Morris Black Law Students Association at ASU proudly present the 13th annual John P. Morris Memorial Lecture. The lecture honors John Peyton Morris, a faculty member at the College of Law from 1968-1993. Professor Morris was committed to the principles of justice and equal opportunity and worked tirelessly throughout his life to foster diversity. This lecture is free and open to the public, but tickets are strongly suggested.